Whole Health Designs Email Sign Up Form - there's also one in the footer! You’re all set for the Post Summer Clean Up webinar. Please check your email for the all details. If you have any questions please contact us at info@wholehealthdesigns.com. 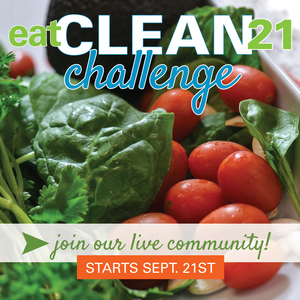 Have you joined the Eat Clean 21 Challenge? The challenge starts Sept. 21st. If you are ready to bust through that plateau that is keeping you from reaching your health goals, Eat Clean 21 is perfect for you. P.S. I would love to connect with you on Facebook and Instagram. I post tons of recipes and behind the scene wellness tips for you! ©2019 Lisa Consiglio Ryan. All Rights Reserved. Website by Stephenie Zamora Media.